Determine the packing accessories you may need: Bubble-pack, unprinted paper, tape, rope, drop cloths, mattress and furniture covers, pallets, shelving, marking pens and cartons are just to name a few. Fill containers to capacity: Partially full or bulging cartons may tip or collapse. 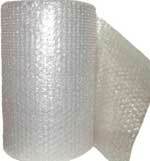 Fragile items should be cushioned by using bubble pack or unprinted paper and placed near the top of the space. Label boxes: Keep a list of labeled boxes at your home or office for easy reference when you need to locate your goods. Place frequently used items nearer to the door. Appliances: Thoroughly wipe down and dry all surfaces. Leave the doors to your refrigerator or freezer slightly ajar. Books and Documents: Pack books flat in order to protect their spines. In order to prevent moisture absorption, do not place the boxes directly on the floor; try to place them on top of pallets or a sturdy piece of furniture. Dishes and Glassware: Line the bottom and top of box with a layer of packing material. All glass items should be wrapped individually. do not stack heavy items on top of boxes containing glassware. Furniture: To save space, all pieces that can be dissembled should be. Wrap table and chair legs with paper for protection. Place a cotton dust cover over pieces for added protection. Place mattresses and box springs on their long edges for firmer support; keep them elevated from the floor and covered for protection. Holiday Decorations: For delicate ornaments, reuse the original cartons they came in and pad the ornaments with packing paper. String lights around a piece of cardboard before putting into a box or carton. Lamps: Wrap the base of each lamp in padding. Then place them into separate cartons. Mirrors, Windows &amp; Screens: These items should be stored on edge, not flat. Records and Phonographs: Records should be stored on edge to prevent warping. When moving a record player, the tone arm or turntable should be secured to prevent damage. Tools and Machinery: Follow the steps for metal items to retard rust. Long-handled tools such as rakes, shovels, and hoes can be tied neatly into a bundle. For gas-powered equipment such as lawn mowers and leaf blowers, be sure to drain any gasoline or oil before storing.